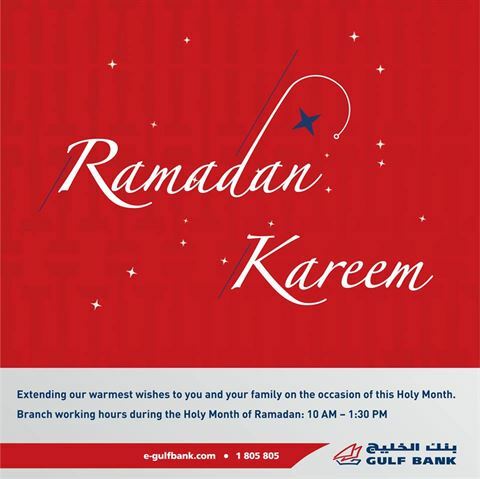 Extending our warmest wishes to you and your family on the occasion of this Holy Month. Gulf Bank will be open from 10:00am till 1:30pm during Ramadan 2017. The bank has 56 branches all around Kuwait.